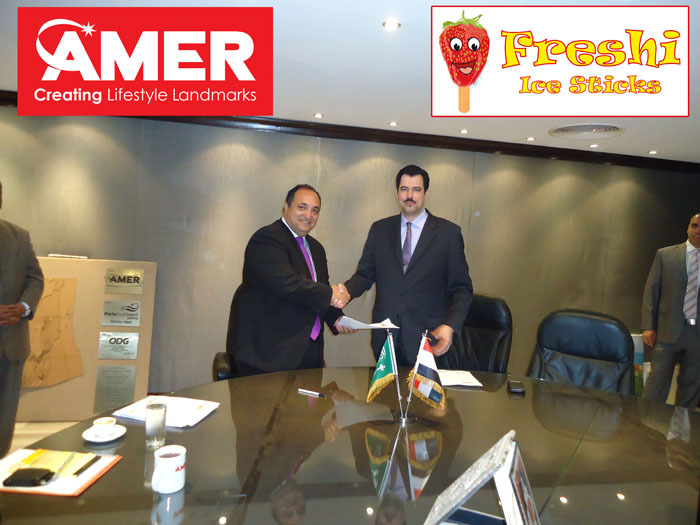 Freshi, the world’s fastest growing Ice Sticks chain announced that the company has signed a master franchise agreement with Amer Group, to develop the brand in Egypt, United Arab Emirates, Qatar and Kuwait. The agreement calls for approximately 65 Freshi branches to be opened in the countries mentioned over the next several years. The first stores under the agreement will open during this year 2012 in Egypt. Amer Group was established in 1985, Amer Group is a market trendsetter when it comes to real estate and retail projects. With its impressive portfolio of hotels and resorts, as well as its chains of malls and restaurants, the Group has proven that they know luxury, elegance, comfort and above all-uniqueness. Amer Group currently operates a portfolio of 54 restaurants in Egypt, KSA and Syria spread across the five brands Chili’s, Carino’s Italian, Studio Masr Mediterranean Grill, Halket El Samak seafood restaurant and Alain le Notre French café & pastry. “Freshi is a beloved brand both in the Saudi Arabia and around the world, with an established history of successful international growth” said Tarik Alwash, General Manager of Freshi. “We are delighted to be opening shops in Egypt with Amer Group an eminently qualified and respected company with strong community ties and their chairman Mr. Mansour Amer, one of the most respected businessmen in Egypt. 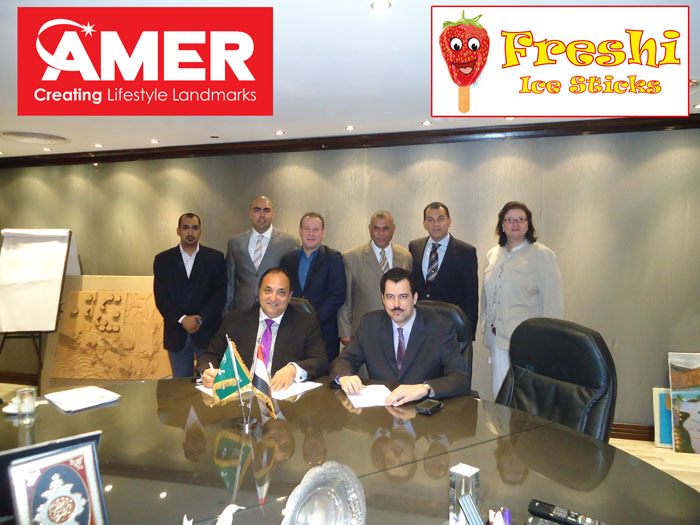 We look forward to supporting them as they bring Freshi Ice Sticks to customers throughout Egypt.” In addition to the shop’s new look and feel, Freshi will also adapt its menu to the Egyptian palate. The brand will offer traditional Gelato favorites while also offering traditional Arab flavors, including Mocha and Lemon Mint and Cappuccino.